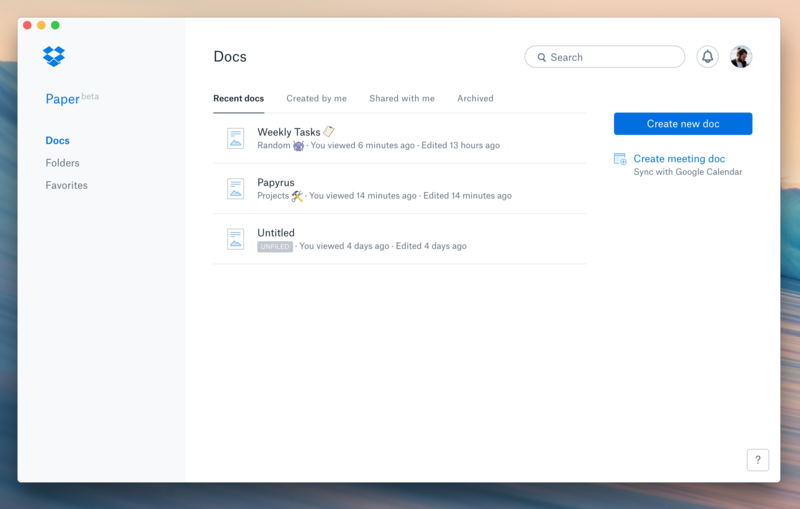 Unofficial Dropbox Paper desktop application. Papyrus is currently at version 1.0.2. Install the application to any location. It&apos;s recommended to move the Papyrus.app file to the Applications directory. macOS will prompt you to accept that this runs from an unidentified developer. All keybindings can also be found under the File menu. The application wraps the official Dropbox Paper website in an Electron browser window (and does some more minor things to round it up). git clone the repository, npm install all dependencies and you are good to go. You might have to run brew install wine before building the application. Any form of contribution is very welcome!